Sunview Windows and Doors provide new and replacement windows and doors. Featuring the worlds most energy efficient glass. We manufacture products that extend the comfort zone. The company primarily makes windows but we also offer solariums (also called sunrooms), screen rooms, conservatories and patio covers through Sunview Solariums Ltd.
Windows and doors are often a major factor in energy loss in your home. Single paned windows that have metal frames are not well insulated and do not keep the heat in or out very well. The edges of doors and windows account for a large amount of air leakage. Energy loss through windows is the largest and most variable loss in buildings and has major implications on energy consumption and peak heating and cooling loads. Windows only take up between 5-10% of a homes total surface area that is exposed to outside temperatures but account for as much as 53% of the heat lost in a home. Older homes are more susceptible to heat loss because of the structure of the windows. Your options to fix these heat losses are to either purchase new windows or to try some low cost efforts to repair the window. The idea is to purchase the most energy efficient windows possible given your budget and your specific needs. Double and Triple Paned Windows are designed with a trapped air space about a half an inch thick, which functions as an insulator. It works by restricting the amount of air movement, slowing down the heat loss through windows. Low Emissivity Windows have a clear coating on the window to reduce the heat loss or gain. This is an almost invisible coat of semi-conductor or metal oxide film that is applied directly to the glass or on a plastic film that is placed between the two windowpanes. There are two different types of Low-E coatings, hard coats and soft coats. Soft coats are the most effective at reflecting heat and are better insulators of heat. The hard coat is incorporated directly into the surface of the glass and is less likely to be mechanically damaged, so in most cases they are used in single pane storm windows. Windows that are made with low-E films are usually approximately 15-25% more costly than regular double glazed windows. They will also reduce energy loss by around 30-50%. The energy savings will pay for the higher cost of the windows in around 10 years. Argon Gas is a motionless gas that manufacturers use to fill the space between the panes of glass to reduce the heat loss. Argon gas is often used because it is a better insulator than air and has a relatively low cost compared to the alternatives. Low-conductivity spacers separate two pieces of glass when making an insulated glass unit. The way that the window frame is put together has a great impact on the required maintenance and life span of the window. Aluminium frames require little to no maintenance and generally have a long life span. Fibreglass frames are not very available but are high in energy efficiency. Some of these models are filled with a foam insulator to better insulate heat. Vinyl frames require no maintenance and perform well thermally. Wood frames insulate well and have a long life span but they need to be protected from the weather. U-values let you know how much heat is getting through your window. Low U-values mean that there is very little heat getting through the window. Solar heat gain coefficients (SHGC) let you know how much of the sun’s energy is being transferred through the window frame. Ensure that your window is installed properly by getting a professional to install it; a poorly installed window will not work as efficiently. If you are unable to replace your current windows, there are other ways to improve efficiency and reduce energy loss. You should install storm windows. You can install these windows on the inside or the outside. Your insulation will improve by the dead air that is trapped between the windows. There are a few different types of storm windows such as rigid plastic storm windows, which are attached to the window with a mounting strip. There are the single pane storm windows, which are to be installed each fall and removed each spring. There are the permanent storm windows, which are more convenient than the removable type and have both screening and glass in the same unit. Temporary storm windows are plastic and are attached to the frame with tightly shrunken two-sided tape. Lastly there are window coverings such as blinds and curtains that can help lower the possibility of heat loss especially at night. Make sure that your window covering does not restrict the movement of air because it can cause the window to sweat. While any old door will provide passage to and from your home, high-style doors can make a great first impression and offer a peek at your home’s interior decor. Browse photos of distinctive doors in our Door Gallery to get ideas for your own home. The Handcrafted, refined. Traditional beauty in revolutionary products offered by Madero in their new fibreglass series. Looking for a high quality, complete door and hardware package for your home? Contact us , we offer a wide array of door designs. You will be amazed by the configurations with highly customizable glass. We have hardware options suitable for both interior and exterior applications. A red front door is thought to invite good energy in Feng Shui. Unique details, such as a sleek handle actually designed for an appliance, make this custom wood-and-glass door catch the eye. Saskatoon Entry DoorWhen paired with blue siding and white moulding, this vibrant yellow door becomes a bright focal point that sets a cheerful tone before one even enters this home. What ever option you prefer the look of, you need to ensure that it will work for your family. Thats where we come in! The Sunview Windows and Doors team are skilled professionals. Our goal is to provide the best possible experience from beginning to end! Contact us today to start planning your patio door dreams! 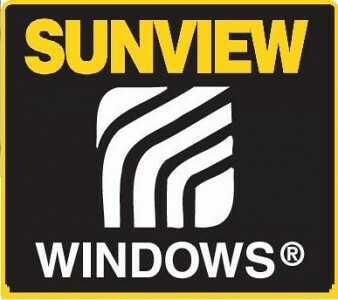 Sunview Windows and Doors provide new and replacement windows and doors to Saskatchewan. Featuring the worlds most energy efficient glass. We manufacture products that extend the comfort zone. The company primarily makes windows but we also offer solariums (also called sunrooms), screen rooms, conservatories and patio covers through Sunview Solariums Ltd. We are a local company that manufactures our product right here in Saskatchewan & we care about our community. We spotted this tip online recently and wanted to share! I have been blessed with a husband who is a perfectionist. I am not a perfectionist. It’s so simple! It’s so obvious! I never would have thought of this myself! I know a picture of a window doesn’t really show how clean it is but trust me these windows are spotless! Plus, last night we got 3 inches of rain. It has stormed every day this past week and now we are under a flood advisory! It has been crazy how much rain we have had this past month! But that really proves how well this Rain-X can work–not only your vehicles, but also on your home windows and even on your shower doors! If you are considering new windows, doors or a sunroom for you home – choose to deal with a local business you can Trust! Contact us today to arrange your free consultation! Sunview Windows and Doors provide new and replacement windows and doors. Featuring the worlds most energy efficient glass. We manufacture products that extend the comfort zone. The company primarily makes windows but we also offers solariums (also called sunrooms), screen rooms, conservatories and patio covers through Sunview Solariums Ltd.
Sunview Windows and Doors are Trusted Saskatoon Window, Door & Sunroom pro’s. We strive to be your local experts when it comes to windows and doors. We also want to share our passion for our products with you to, so now we have a Sunview blog to do just that! In our latest article you will learn about new options and patio door ideas for attractive, functional doors. Whereas French patio doors are a more traditional approach, contemporary sliding doors have a more modern look. These doors offer greater simplicity in that they create no obstacles at all to furniture placement, inside or out. Patios are generally gathering places for family and friends, and when lots of people are invloved, a traditional open and close door can be a hindrance to entering and exiting. Just ask anyone who’s tried to carry a tray of appetizers through a traditional door while a gaggle of toddlers is racing in or out. For this reason, and because they can add a modern, elegant design element to connect your outdoor and indoor space, sliding patio doors are a popular option. In the past, sliding patio doors were heavier and had a reputation for getting stuck in their tracks or misaligned. Modern sliding patio doors generally offer a much slimmer, more contemporary look, and the problems of sticking and misalignment have been lessened. Because of the lighter materials, these new designs generally offer a larger, less obstructed viewing area as well. We LOVE these big sliding glass door panels….talk about a modern clean look!! What ever option you prefer the look of, you need to ensure that it will work for you home and your family…thats where we come in ! The Sunview Windows and Doors team are skilled professionals. Our goal is to provide the best possible experience from beginning to end!